Written by Gary Smits for the Florida Times-Union. Paul Tesori had gotten fired for the first time in his career as a caddie by Sean O’Hair in late 2010 but on the surface, shouldn’t have had any problem finding a new bag. After all Tesori, a St. Augustine High and University of Florida graduate, had worked for Vijay Singh, Jerry Kelly, Chris Couch and O’Hair, winning tournaments with all four. But Tesori had a particular player in mind, having been born again and baptized in the summer of 2010. That would be Webb Simpson, a Wake Forest graduate who was struggling in his first two seasons on the PGA Tour. When Simpson called to offer Tesori a job, Tesori’s wife Michelle fired up their computer and started researching Simpson’s golf statistics. But Simpson was the one doing the sales job and it took five minutes. 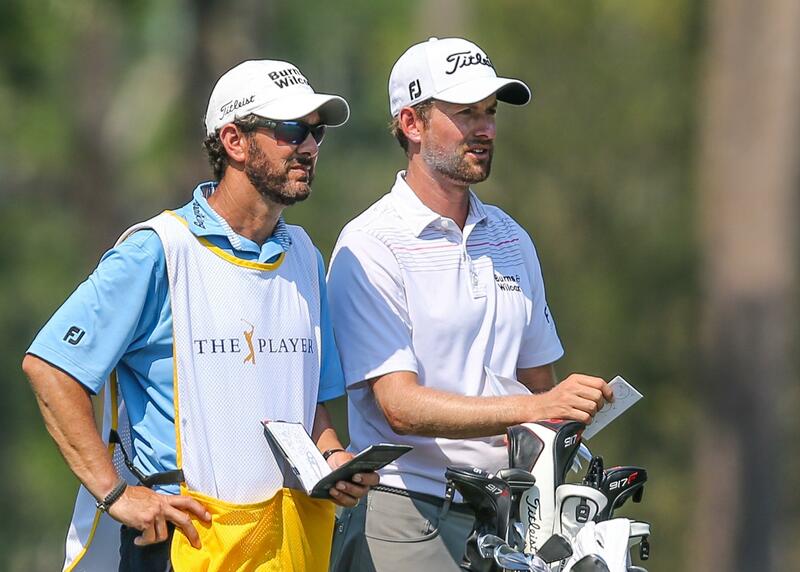 The next year the two combined for two PGA Tour victories and Simpson vaulted to 14th in the world. In 2012, he won the U.S. Open. And Friday, Simpson flirted with a 59 and settled for a tie for the course record in The Players Championship and a five-shot lead at 15-under-par 129. The two have formed one of the closest player-caddie bonds on the PGA Tour, made even stronger since Tesori’s son Isaiah was born with Down’s Syndrome. Simpson and other Tour players such as Jordan Spieth have helped raise money for the Tesori Family Foundation, which held its second function at the Sawgrass Country Club on Thursday for special-needs children. “I look up to him every day of my life,” Tesori said of Simpson.